This wonderful Christmas tale, set in the late 1800s, shares the touching story of a young boy named Peter. He sells newspapers to help his family while his father is away at sea, and he's been saving a bit of his earnings to buy a model schooner in the woodworker's shop. But after Uncle Jim, the woodworker, tells him the story of St. Nicholas, Peter discovers the meaning behind the hanging and filling of Christmas stockings and learns a heartfelt lesson in kindness and generosity. 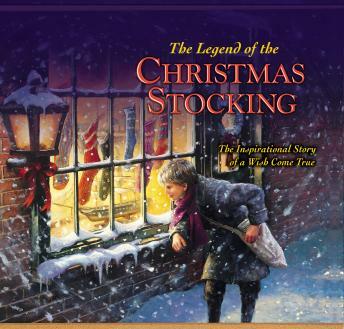 Filled with the rich, realistic illustrations of Jim Griffin, children ages 4 to 8 will discover the depth of God's love shown through others as they learn the Christian meaning revealed in The Legend of the Christmas Stocking. Through imaginative and innovative products, Zonderkidz is feeding young souls.